Lewis Real Estate founder Bob Lewis was raised in Tennessee, helping his dad run a rural hardware store and the family farm. “I learned early on to treat other people the way I would want to be treated,” he says. “My dad was always truthful and up front.” Graduating from the University of Tennessee with a degree in finance, Lewis pursued a 20-year career in banking in Tennessee and North Carolina before establishing Lewis Real Estate in Asheville as a residential property management company in 1985. “With one child in college and the other in high school, it was a real leap of faith,” he reminisces. “Our business grew by word of mouth, based on our reputation.”Bob Lewis enjoyed building the company and maintaining the “very satisfying partnerships” that his company formed. Martin Lewis has been a partner in the growth of Lewis Real Estate since 1988. With an instinctive eye for real estate and deep involvement in civic and community organizations, Martin is active in establishing the company’s many successful investor partnerships and business relationships in the community, lending his management experience to the company’s extensive portfolio. Lewis is a 2003 graduate of Leadership North Carolina and served as a governor-appointed Commissioner on the North Carolina Wildlife Resources Commission for six years. 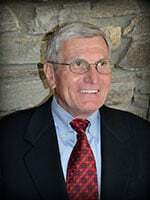 He has served key leadership positions on numerous boards and business councils in the region, including the Buncombe County Board of Adjustment, the Asheville Commercial Investment Realty Association, the Asheville-Buncombe Technical Community College Small Business Council, the Asheville Board of Realtors, the Asheville Chamber of Commerce, Small Business Council, and the Eliada Home for Children. 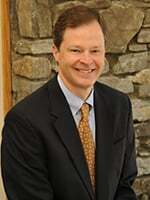 Martin is a graduate of the University of Tennessee and a Certified Commercial Investment Member (CCIM). He lives in Asheville with his wife, Chris, and four children. 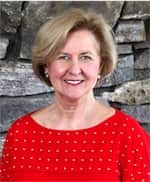 Asheville native Freda Mathews has been part of Lewis Real Estate since 1992, with responsibilities that include coordinating all aspects of the company’s tenant relationships, property maintenance teams, and office management. Mathews and her husband of 48 years are parents to three children and four grandchildren. Al Richie grew in up McDowell County, N.C. After graduating from NC State University, he served two years in the U.S. Army, including one in Korea. He received an honorable discharge and began work for JP Stevens and Company in New York City, were he stayed for three years. He then moved back to McDowell County to work for Marion Manufacturing Co., a producer of unfinished fabric. Al later moved to Asheville and started a chain of four Hallmark Greeting card shops. After closing these stores in 2008, he obtained a real estate license and began to work at Lewis Real Estate. Al has served on the board of the Salvation Army, including six years as Chairman of that board, and he continues to serve as a Director Emeritus. 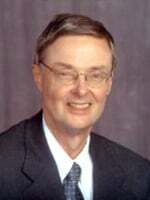 He also served on the Memorial Mission Foundation Board. He is a member of Central United Methodist Church, and the proud grandfather of four grandchildren: Lillian and Bou Bowers,Children of daughter Elizabeth, and Jim Bowers; and Ellis and Olive Richie, children of Therman and Erika Richie. He is fortunate that they all live here in Asheville and I can see them often. Caroline was born and raised in Charleston, West Virginia. She graduated from Auburn University in 2010 with a degree in Human Resources Management. In 2012, Caroline’s love of the mountains brought her to Asheville. 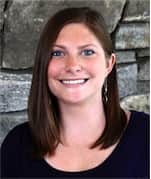 After several years working primarily in sales and marketing, Caroline obtained her NC real estate license in 2012 and started working in commercial real estate. Since then, she has been performing brokerage work and enhancing her marketing skills, while also assisting with property management at times. In 2016, Caroline began working for Lewis Real Estate as a commercial Broker. She also assists with marketing for the firm. Caroline is a member of International Council of Shopping Centers, Young Professionals of Asheville, and the local Asheville Board of Realtors.